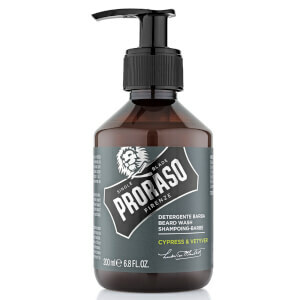 The Azur Lime Beard Wash is a lightweight cleanser specifically developed for facial hair from Italian-based grooming brand, Proraso. 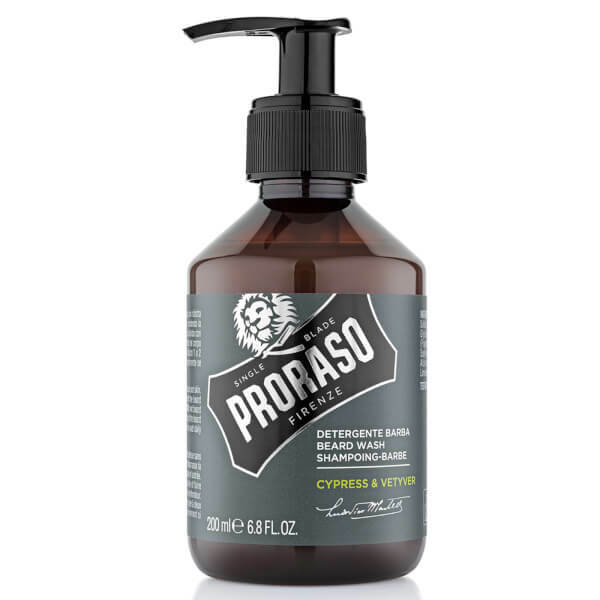 Unlike regular shampoo that can cause irritation and damage to delicate facial hair, the low-lathering formula contains no harsh chemical and is suitable for daily use to keep your beard feeling fresh and balanced. Fortified with a host of natural extracts, it sweeps away daily dirt and neutralises odours with a sensual, masculine scent of Cypress, Cedarwood and Vetiver with a fresh hint of Bergamot. Wet beard with warm water and massage the wash in thoroughly. Rinse well. Use twice per week or more if required.